One of the best parts of holiday decorating is seeing how others do it! 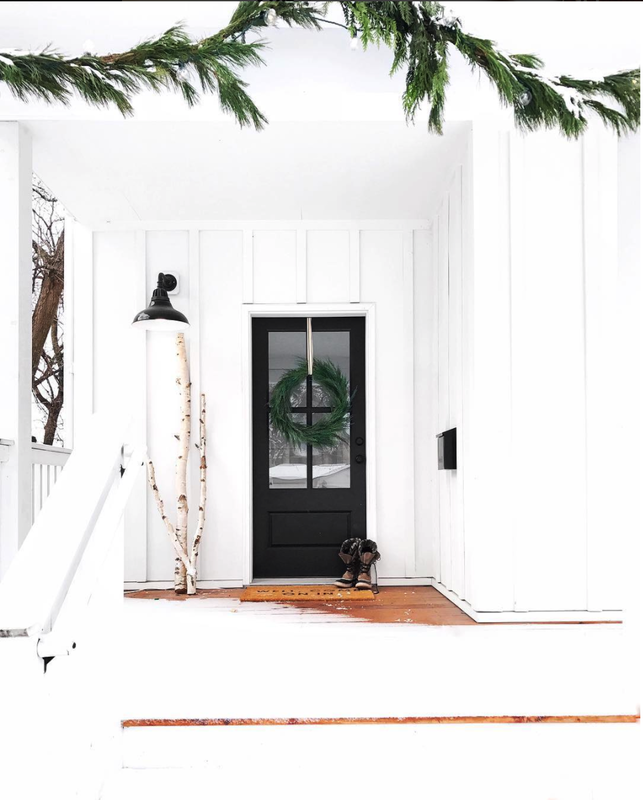 We gathered up some of our favorite decor inspiration from around the web to inspire any last minute holiday decor adventures you might be embarking on this week. This holiday scene by Monika Hibbs is everything, and we would totally move into this play house ourselves. This space by Sean Anderson Design is dark, dramatic, and gorgeous. The greenery brings the space to life! This dinner party is not last minute, but you can definitely take inspiration from it. We love how Christine from Hello Fashion Blog used our hand towels as napkins in her beautiful table setting. She used neutral colors, gold and greenery to make it festive, proving that you don't need to fill your home with Santa themed pieces to get in the holiday spirit. Melissa's beautiful space is perfectly simple but feels like a winter wonderland. Her doormat works year-round, but the "Well, Come On In" message is especially fitting for the holidays. Last year's video was pretty cute, if we do say so ourselves! Millwork, vintage art, and a gorgeous garland! This entrance by Park and Oak Design is everything. Anissa from House Seven nailed it with her holiday mantel. We love the stockings displayed on one side, balanced with the candlesticks on the other. The Juniper Berry Wreath is fresh and festive, making the space feel alive. The ribbon comes free when you order a wreath from McGee & Co.! Here are our tips for styling a holiday mantel! Using your darker toned pillows makes the space feel festive and cozy during the winter time. Velvet is perfect for the holidays because it's dark, textured, but soft.